Two weekends ago, I got to attend my first Denver Bloggers Club meetup, which was graciously sponsored by Hopdoddy, an Austin-based restaurant with a hot location here in Denver at Union Station. Ryan ordered the El Diablo: Angus Beef, Pepper Jack, Habaneros, Serranos, Caramelized Onions, Salsa Roja, Chipotle Mayo. Photo taken by Ryan Kane. Now, let me back up the story here a little: I have a hard time describing myself as a blogger, even though I have been more or less blogging since the early 2000s (oh, Livejournal). Since the inception of this website and blog, I have tried multiple times to brand the blog in a certain way, starting with my creative writing and then branching over to a San Francisco theme to a Denver theme to a business theme…and on and on to where now I just consider this blog more or less my musings of the moment, which changes a lot as I grow older. I’m glad that Jenny Finke, the founder of Denver Bloggers Club, finally helped me figure out how to ‘categorize’ my blog: lifestyle! Yes, that’s it! Even Hopdoddy’s Kennebec Fries were delicious and Ryan actually liked them (he doesn’t like fries usually). Hand-cut daily! Photo taken by Ryan Kane. Anyway, back to the outing: I loved going to Hopdoddy, since I had been to one of the original locations in Austin in 2014 and really enjoyed the burger that I ordered while there; alas, I don’t remember the name of that burger, but I do know that the one I chose two weeks ago was just as tasty: The K-Town Belly! 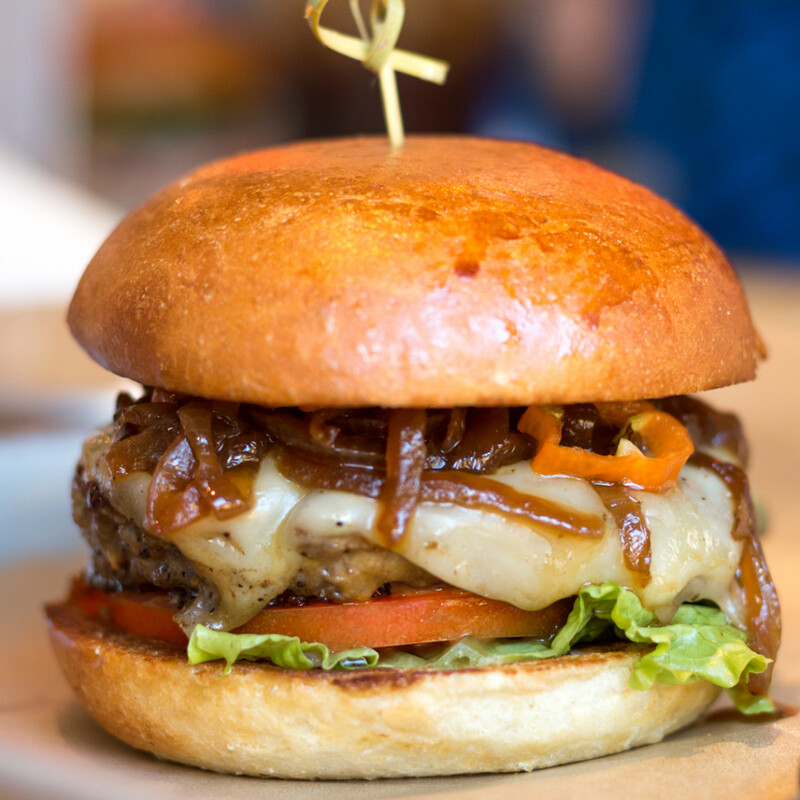 A diverse mix of Korean and American flavors mixed into this burger makes for a delicious and slightly spicy mix. Yum! K-Town Belly: Grass-Fed Beef, Braised Beeler’s Pure Pork Belly, Kimchi, House-made Gochujang, Korean Rice Crispies, Mayo, Basil Leaves. Photo taken by Ryan Kane. 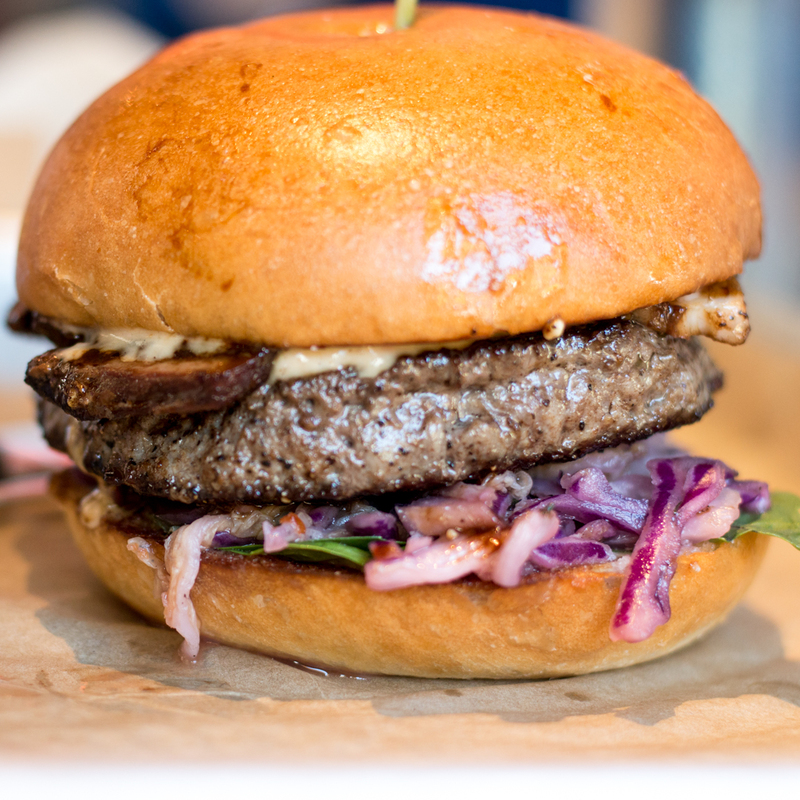 The Denver Bloggers Club had the honor of listening to the Denver location’s general manager, Melissa Withem, talk about the history and craft of Hopdoddy, and we even got to view the meat-grinding room and learn what “Narnia” means for each restaurant location. 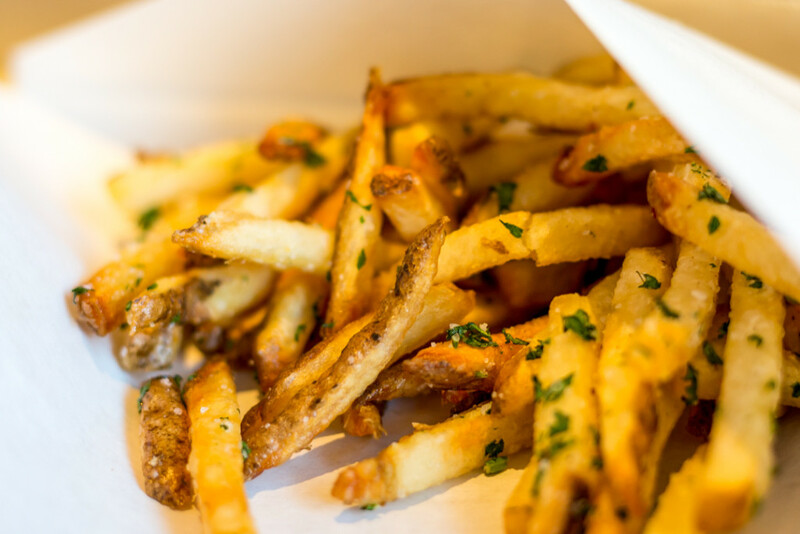 What makes Hopdoddy unique is that they have a huge emphasis on freshly made ingredients, from daily-grinded meat patties, daily-baked bread, to made-from-scratch sauces. Melissa was excellent with her professionalism and vibrant personality, which just added to the overall enjoyable experience that weekend. 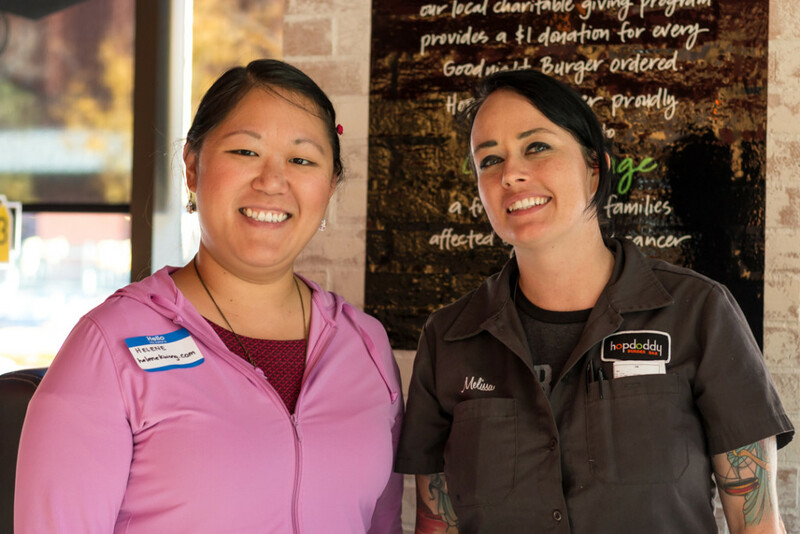 Me & Melissa Withem, the general manager for Hopdoddy in Denver. Photo taken by Ryan Kane. We bloggers also spent some time discussing about general strategies and tactics with one another about increasing blog traffic: I know I want to do more with my blog soon, so having this group will help me out a lot! Yum. 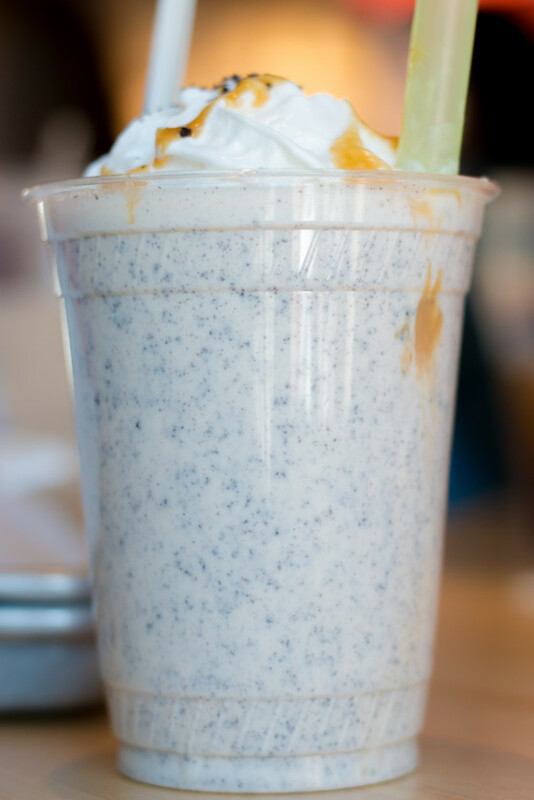 We had to end our meal with a Caramel Oreo milkshake. Great combination! Photo taken by Ryan Kane. Thanks to Hopdoddy for the amazing hospitality and to Jenny Finke for organizing such a fun outing! 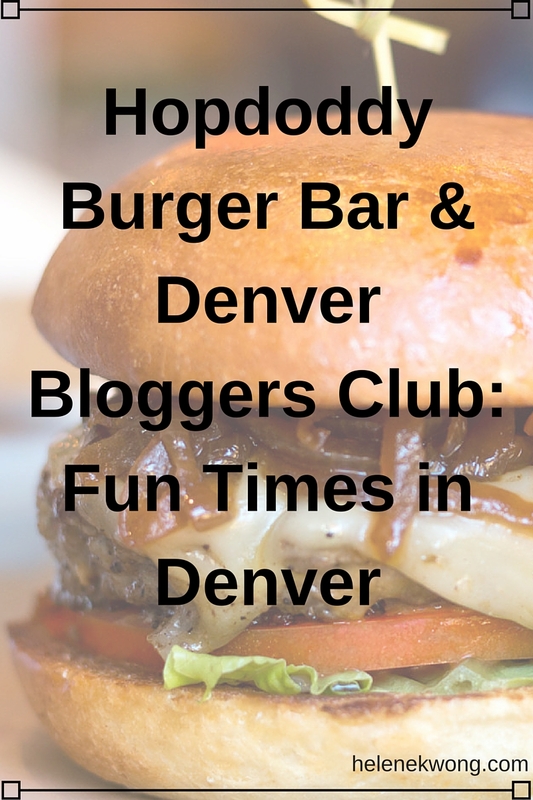 I hope to stay motivated and active with my blogging through Denver Bloggers Club.